"Most textbooks on flying assume that all flight exercises are completed in still air. However, in reality there are often gusts or ground heating. When attempting steep turns, the bumps and jolts make it difficult to complete the exercises as desired. Any suggestions?" - Dr. Bryan S.
"Do the best you can considering the turbulence. 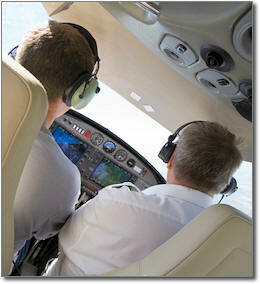 Early morning and late afternoon are the best times to do air work since the air is generally smoother. The best way to learn to position the bank and pitch is by employing the horizon as an aid. You will detect a divergence from proper bank and pitch immediately if you are looking at the horizon. Otherwise, you will have to wait until the altimeter tells you that you're off altitude. By that time, however, you will be in a well developed climb or descent."